Never leave a favorite tune behind. 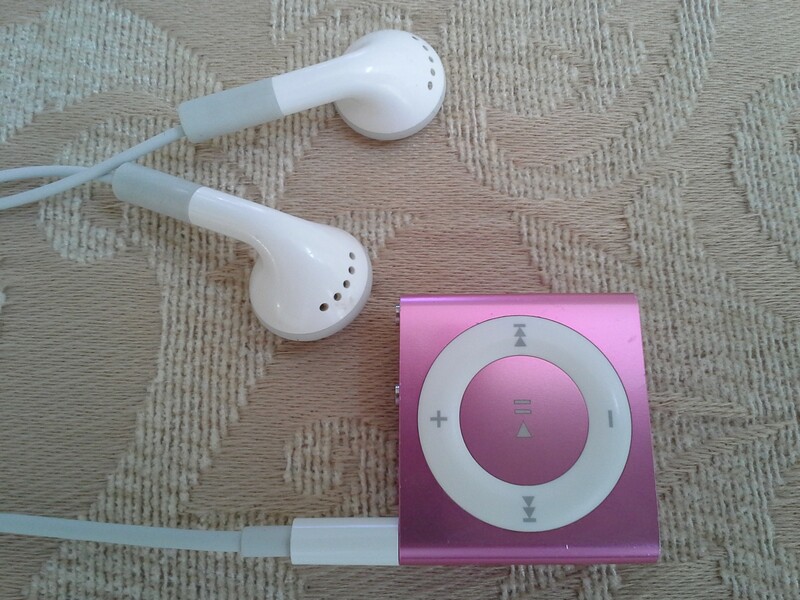 Along with up to 15 hours of battery life, our iPod shuffle gives us 2GB of storage capacity, good for hundreds of songs. It’s wearable, too. Clip it to your shirt, jacket, workout gear, or backpack, and it stays put — whether we’re running an errand or cycling all day around the world. Stores music and podcasts for listening to while travelling. Small, light and very durable. Amanda is able to clip this to her bra strap and tuck in the headphone cord so there are no wires dangling. The battery life is good, it seems to be water resistant and holds lots of music. The only downside is when you lose the small charging cord because the device is pretty outdated so we could only find a replacement on Amazon for quite a pretty penny. Still worth it though because music is such a great escape sometimes. A definite must have. Take up no space at all and is easy to use and carry.